Valassis, a leader in activating consumers through intelligent media delivery, has released its annual 2K18 Coupon Intelligence Report. Titled “Modern Shoppers and Their Quest for Savings,” the report examines responses of 1,000 US-based consumers to determine how modern, dynamic shoppers research and make purchases, with the help of technology, online and in-store for traditional consumer packaged goods (CPG) categories. There Are More Options Than Ever for Consumers to Plan and Save! According to survey findings, 94 percent of respondents report using coupons, a substantial increase over the prior year on an already very large base of consumers, with paper and paperless sources both showing growth (up 5 and 4 percentage points respectively). The multitude of channels available means there are more options than ever for consumers to plan and save. Over 60 percent say they constantly plan their purchases and 36 percent state they have used a shopping list app – which jumps to 61 percent for both parents and millennials (74 percent for millennial parents). While many shoppers prefer print offers in the mail (48 percent), coupon books in newspapers (42 percent) and paperless discounts downloaded to store loyalty cards (39 percent), one of the biggest growth areas is using mobile offers to save. – In-store shoppers are more promotion sensitive. Although less likely to use a mobile device to save, these consumers are more likely to be aware of sales, coupons, and discounts for CPG items. These consumers are not afraid of the experience and are willing to put in the time to save – less than 20 percent of in-store shoppers say they don’t have much time to plan or do their shopping. – Online shoppers are driven by convenience. Those who consider themselves primarily online shoppers are more likely to be motivated by convenience, and specifically, a need to save time. On occasion, this need will even drive their brick-and-mortar store selection. More than half of online shoppers say they shop retailers such as dollar, drug and convenience stores because they can quickly find what they need. Although convenience is paramount, online shoppers are still big seekers of savings. In fact, when shopping for food and household goods, these consumers’ paper and paperless coupon use is higher than all consumers. – Omnichannel shoppers will go online or in-store to find what’s on their list. Similar to online shoppers, omnichannel shoppers – those who do about half of their shopping online and the other half in- store – are very likely to seek out savings on the internet and their mobile device. They also tend to create lists before shopping. Among those that do so, more than two-thirds say their final purchases are exactly the same or somewhat similar to their intentions. The study was fielded in the third quarter of 2017 in conjunction with a global, third-party market research firm with proficiency in internet surveys. The sample was derived from an online consumer opinion panel, and all participants were at least 18 years of age and living in the contiguous United States. Consumers were emailed an invitation to participate in the survey and were given three days to complete it. The survey was closed once 1,000 completed responses had been reached. The responses were weighted by factors obtained from national census data to provide appropriate representations of demographic groups at summary levels. 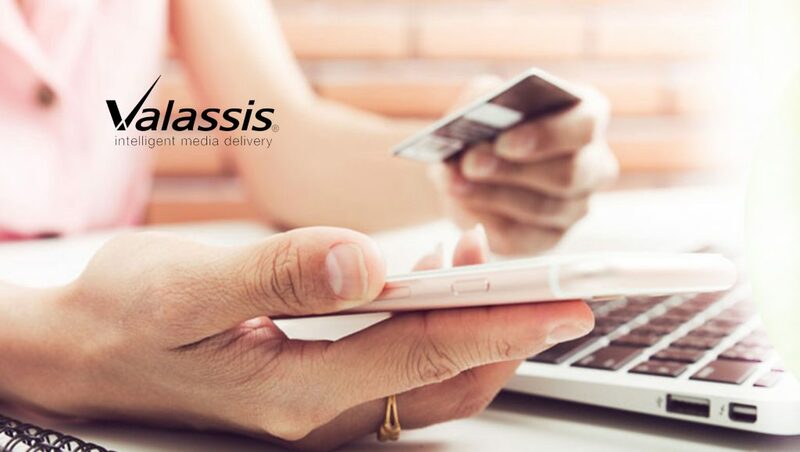 Currently, Valassis helps thousands of local and national brands tap the potential of industry-leading data through intelligent media delivery – understanding, engaging and inspiring millions of consumers to action with smarter cross-channel campaigns. We’ve been a part of consumers’ lives for decades, introducing new ways to deliver offers and messages that activate them — whether via mail, digital, in-store or the newspaper. NCH Marketing Services, Inc. and Clipper Magazine are Valassis subsidiaries, and RetailMeNot Everyday™ is its consumer brand. Its signature Have You Seen Me?® program delivers hope to missing children and their families. Valassis and RetailMeNot are wholly owned subsidiaries of Harland Clarke Holdings.